Many of us believe that self-compassion is the same as self-care, and that activities, such as going to the gym, exercise, yoga, meditation, running are enough to nurture our soul and to provide us with feelings of re-energisation. We often feel that we need to participate in these activities in order manage and be productive in our work and day to day routines. So why is it that we can often still feel exhausted, overwhelmed and depressed even after practicing such activities for a length of time? This is because we can often still have aggressive, punishing and demanding feelings towards ourselves in the process of self-care. We can view our worth as dependent on whether we succeed or fail. We can feel critical of our work, our parenting, our appearance and about the life we have created for ourselves whilst continuing to provide non-stop compassion and empathy in abundance for others that are suffering. Many of us are very hard on ourselves when we realise that we have a flaw or any short coming and feel ‘not good enough’, ‘not worthy enough’, ‘not loveable enough,’ especially when we feel we have done something wrong or upset someone. We compare ourselves to others, and sometimes no matter how hard we try it ends in self-judgement, shame and self-loathing despite our best efforts to follow self-help advice on how to increase self-esteem and adhere to practical steps that will support us to feeling confident and at peace with ourselves. It often feels easy to feel compassion and kindness towards someone else, a relative, friend, neighbour when they are experiencing difficult times, yet we often do not give ourselves the same nurturing, understanding and acceptance of ourselves. Compassion for others really does start with compassion for yourself. Once you realize that your problems are worthy of attendance, the same as everyone else’s you can let go of all of those expectations of perfection you place on yourself and begin to quieten that inner critical voice telling you that you’re not as important as others. You can begin to think about what it is that you need in any given or present moment to help allay your suffering and to achieve well-being and happiness. Journaling, this allows you to slow down your your thoughts and to put them on paper. Deep breathe on a regular basis. When you’re feeling stressed anxious, or burnt out, STOP, take deep breaths, and relax. Do this on a daily basis. Say no, give yourself permission to say NO to the things that you don’t want to do and only participate in those activities that bring you joy and happiness instead. Ensure that you practice PLAY on a regular basis. This maybe games, sports, painting or anything that feels freeing and pleasurable to nurture the inner child within you. Take part in exercise and activity that brings you pleasure, not pain, such as rolling skating, ice-skating, dancing, trampolining, gymnastics, anything that feels fun and takes you away from exercise that feels dull, boring and ritualistic, even though it may bring results. Accept compliments. Begin to thank people for their kindness as opposed to being suspicious of their motives. 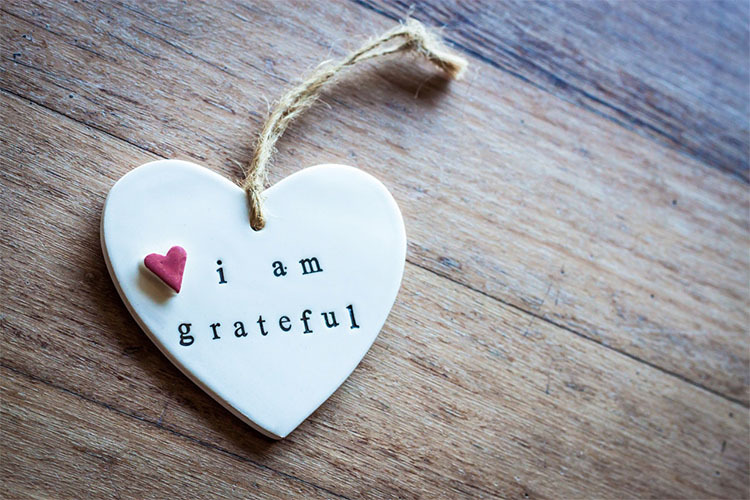 Practice Gratitude, by regularly giving yourself compliments and writing down the things in your life you feel grateful for as opposed to the things that you feel are missing. Laugh lots – do whatever or be with whoever makes you laugh. Treat and reward yourself on a regular basis to a massage or other treatment, to indulging in your favourite food or to whatever makes you feel good. Be the authentic YOU. Be who you really feel you are, be crazy, be fun, without fear of what others think of you.